Struggling to identify that wood burner or multi-fuel stove in your living room? Perhaps you have moved into a property and have no record of the appliance you have inherited? Rather than spend hours trawling through the internet trying to match pictures, why not let us help you? Simply email us a picture, with as many of the below details as possible and we’ll do the rest. We cant guarantee we can determine an exact model, but there aren’t many stoves our experts can’t ID. Service Update: We do not offer support for Chinese Stoves purchased through platforms such as eBay. 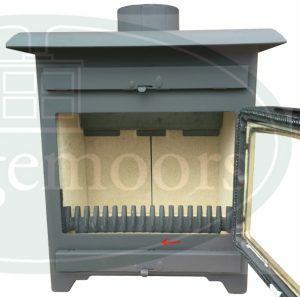 If you suspect your stove is of Chinese origin, please check with the original seller in the first instance. How to identify your stove. The location of this information will vary depending on the manufacturer. In most cases it can be obtained from the stove and/or in the operating and instruction manual that came with the appliance. Most manufacturers now use Serial numbers or have some form of data plate on their appliances – usually hidden from front view. If you can’t identify your stove, the three more common places these data tags can be found are the sides, rear or undersides of the stoves. These plates will normally give you sufficient information, however, depending on which part you require it may be necessary to ask further questions such as ‘Is it a boiler model’? or ‘Fuel Type’? Sometimes information is limited, especially with older appliances, or when the stove has been inherited in a property. Therefore, it may be difficult to identify your stove. Below are some other methods we can use to pinpoint a manufacturer or model. This is not an exact science and information gathered should be taken accordingly. Size of door glass panels. See our handy stove glass guide. Single or Double Door Model. Approximate age of the appliance. Unfortunately, we are unable to determine the details of a stove from its size.